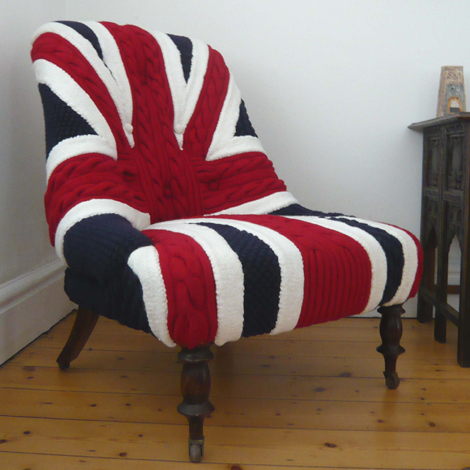 Our very first Union Jack piece Albert was a vintage, iron-back armchair transformed for a client looking for a feature piece for a living room. 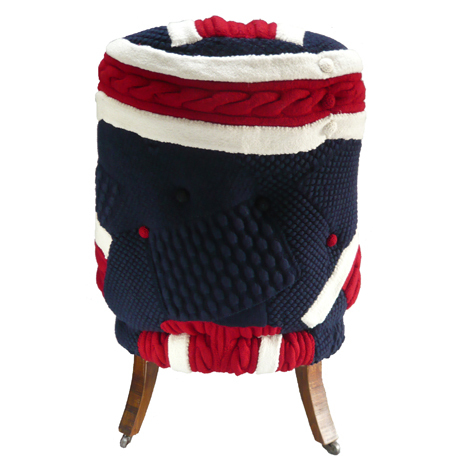 Covered in a bold handknitted, cabled Union Jack design, with deep-set crocheted buttons and varnished wood legs. The heavy textured knit was entirely hand knitted in panels to fit the chair.